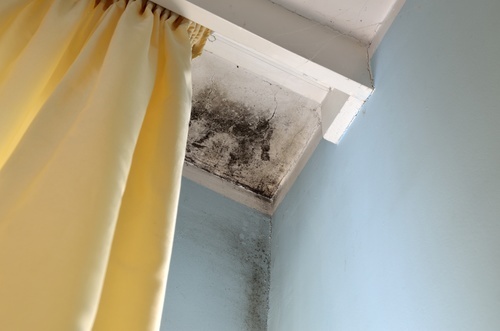 Mold normally rears it's ugly head in rooms throughout your Home and Apartment that don't have good air flow. Bathrooms, Laundry and Mud Rooms or Basements are common places for Mold to grow. Mildew, Mold's ugly step-sister, can be found in the same places, and the two together make for a sinfully nasty combination. If you were to perform an internet search on Mold or Mildew removal, you would most likely turn up a bunch of nonsense about how bleach, baking soda, and other simple household cleaners can be used to battle these filthy twins, but in the end, your DIY skills will be no match for Mold or Mildew. They will continue to grow in hard to reach places within your home, and you will eventually succumb to calling a professional. We remember the first time we saw a mushroom sprouting out of a corner of a bathroom. Mushrooms are supposed to grow in gardens, not in your bathrooms! You probably know the site, as it normally happens in a corner between where your bathtub and tile meet. That's a surefire sign that you are well overdue for some mold or mildew removal, which Arvada Carpet Cleaners can provide. The smell of Mold or Mildew is very unpleasant, and is very dangerous for the health of you and your family. Did you know that if Mold is inhaled repeatedly it can create respiratory problems? That fact alone can be enough for you to investigate that smell that has been in your home for way too long. Mold & Mildew removal is essential to not only keep your home in tip-top shape, but to preserve the health of your family or business. Don't let your house cleaner try to mitigate Mold or Mildew with some simple bleaching techniques, call the experts at Arvada Carpet Cleaners and we will help you get rid of the nastiness once and for all! With over 6 years of experience with Mold & Mildew removal, Arvada Carpet Cleaners is committed to giving you the quality service that you deserve, and that your home needs to fend off these nasty Fungi. Your home can be structurally damaged over time if you don't take the proper precautions. Don't make the simple mistake of letting Mold or Mildew seep into your home and cause a major, unneeded renovation. We're here at Arvada Carpet Cleaners to remove your Mold or Mildew today. Give us a call at 720-442-9035, and you won't be sorry!